Twitch Introduces Upcoming Desktop App | Nerd Much? 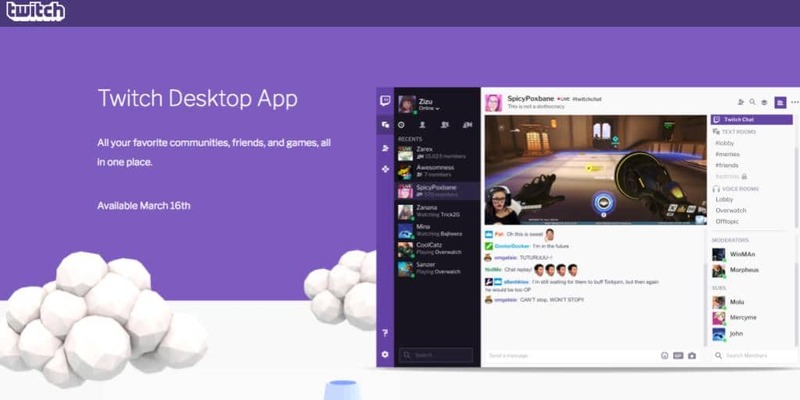 Just what all you streamers out there have been waiting for, Twitch has just announced an all new desktop app! It’s coming out March 16th and it looks fairly cool. You still have to be online to use it of course, but it will hopefully be a little more efficient than being on the site itself. This desktop app is a result of Twitch having bought Curse, and working with their teams to develop this new platform to better connect all of their streamers and audiences. With the desktop app, you’ll “be able to create your own Twitch server for your community,” and it will continue to be live and function without you needing to be online. You can also “import and centralize your friends from the game communities you belong to,” which keeps everything in one place if you can’t remember where you met a friend. The desktop app allows whispers, voice, and video calls, for an even smoother experience. Even more exciting though, is that you’ll be able to buy and download games directly from the desktop app. Which sounds a lot like Steam, I do wonder if it will work the same way too. Does this desktop app make thing a thousand times more convenient for you? Let us know in the comments below!